We make custom City Entrance Sign Monument projects and ship nationally! Our products are break-away upon impact. This project is for the main entrance to Rockwood, Tennessee. 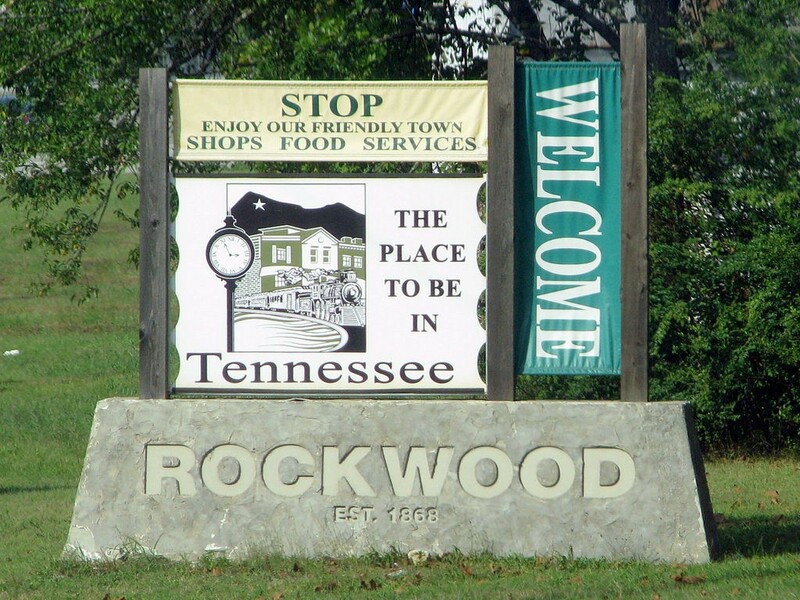 The City of Rockwood, Tennessee was looking for a unique sign monument to greet visitors as they enter the City. The wanted a rustic looking sign with a rock base and the ability to change the graphics to promote upcoming City events. This sign base is a great example of our faux masonry. It looks like real hand-tooled stone with the letters embossed down into the texture. Our faux is less expensive than real rock, and we have better control of the results than true rock. We used rough grade cedar for the posts, and the graphics are banners that simply change by sliding them off the connecting rods. We have fine-tuned every aspect of made-to-order custom city entrance sign monument projects. You will be in touch with an experienced sign designer, seasoned in cost-effective solutions. We listen to your needs and deliver! Custom city entrance sign monument signs provide a sense of distinction and permanence to your property. Our sign monuments are the style most desired and required by municipalities nationwide for an all over better looking community. With over (2) decades of nationwide success, we will make You Look Your Best! We welcome any challenge in custom city entrance sign monument designs, and can produce anything you can imagine! Please use our online contact form to start your next sign project. We look forward to working with you!